Srinagar: In a written statement issued by All Parties Hurriyat Conference, a group of pro-freedom Kashmiri organisations, it is said that on Saturday (Feb. 02) evening at 8:35 pm, Pakistan foreign minister Shah Mahmood Qureshi called on Hurriyat Conference chairman, Syed Ali Geelani on phone and discussed the current volatile situation in Jammu and Kashmir. “Thanking Pakistan for its moral, political and diplomatic support to our just cause and struggle since 1947, Hurriyat chairman said that we pray to Almighty Allah for peace, strength, stability, progress and prosperity of Pakistan for a strong and stable Pakistan is very important for the peaceful resolution of Kashmir dispute”, the statement reads. In this statement (copy available with Sikh Siyasat News) Hurriyat Conference chairman expressed his hope that the new government shall leave no stone unturned to safeguard the basic and fundamental rights of the oppressed and suppressed people of Jammu and Kashmir. 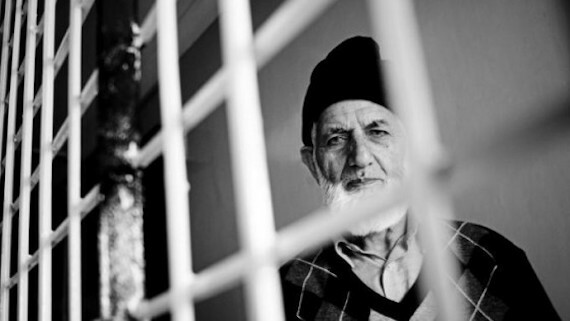 It further says that Syed Ali Geelani asked Pakistan to take cognizance of deteriorating human values and prevailing bloodshed in occupied state and urged them to activate its embassies all over the world and appraise world about this issue and people facing the atrocities from occupational forces. He also expressed hope that if Pakistan makes its sincere efforts to highlight the Kashmir issue in international level the world leadership will play a positive role regarding the settlement of this long pending dispute in accordance to the wishes and aspirations of the people of the state. Hurriyat chairman in conversation with Foreign Minister of Pakistan said that the repressive measures adopted by the Indian Government in occupied Kashmir, had compelled the people of Kashmir to resist through peaceful means. He said that authorities in the state have crossed all limits, people and leadership is caged and voices strangulated, hence it is the duty of Pakistan to represent our aspiration, in every corner and in all world forums. “Hurriyat chairman in his appeal to people of Pakistan asked to maintain peace and work for the prosperity of the nation and serve and respect minorities in that country. He stressed for the cordial relation between Pakistan, Afghanistan & Iran and said that best relation between these countries will lead the region to overall stability, peace, development, and progress”, the statement reads further. In his response Pakistan Foreign Minister assured Hurriyat chairman that Pakistan will raise strong voice to highlight Indian aggression and brutalities being perpetrated against the people of Jammu and Kashmir. Pakistan will continue to extend its political, moral and diplomatic support to Kashmiries for their right to self-determination in accordance with UN Security Council resolutions, Shah Mehmood Qureshi said. It may be recalled here that the government of India has objected against Pakistani minister making calls to pro-freedom Kashmiri leaders. New Delhi had objected over Shah Mahmood Qureshi previous call to Mirwaiz Umar Farooq.